Six million Jewish people were murdered during the genocide in Europe in the years leading up to 1945, and the Jews are rightly remembered as the group that Adolf Hitler's Nazi party most savagely persecuted during the Holocaust. But the Nazis targeted many other groups: for their race, beliefs or what they did. Historians estimate the total number of deaths to be 11 million, with the victims encompassing gay people, priests, gypsies, people with mental or physical disabilities, communists, trade unionists, Jehovah's Witnesses, anarchists, Poles and other Slavic peoples, and resistance fighters. Homosexual men, and to a lesser extent women, were compelled to renounce their sexuality under the Nazi regime. An estimated 100,000 were arrested and some sent to prisons, while between 5,000 and 15,000 were sent to concentration camps, where some were forced to wear pink triangles on their uniform to denote being gay. As many as 60% of those send to the camps perished, according to German LGBT scholar Rüdiger Lautmann. Pierre Seel, from the Alsace region of France, was just 16 when he was arrested after a cruel twist of fate. His watch was stolen - in an area notorious for gay cruising – and he reported the theft to police. Without his knowledge, this led to his name being added to a list of known homosexuals. “The Germans came to Alsace In 1940,” he said in the 2000 documentary, Paragraph 175 by Telling Pictures. “And the Germans found the police files. They saw our names on these lists, lists of homosexuals. They were probably watching us. How we live, where we go, what we do. And one day I had to go to the Gestapo with 12 friends." Police sodomized Pierre with a piece of wood and sent him a regular jail, before he was transported to the Schirmeck-Vorbruck camp near Strasborg - called a "protective custody camp”. In another traumatizing experience, he was forced to watch his teenage lover Jo, who was also in the camp, being executed by being torn apart by Alsatian dogs. Pierre was heralded as being the only French person to speak out about being deported due to being gay, but the horror of those years memory still made him furious and tearful years later. Pierre survived the camp: he was released without explanation in 1941 and forced to join the German army. He deserted from the army, and finally returned to his home city of Mulhouse, where he felt forced to “censor” his memories for fear of further persecution. He lied to even close family about the reason for his deportation, after his godfather disowned him after learning he was gay. 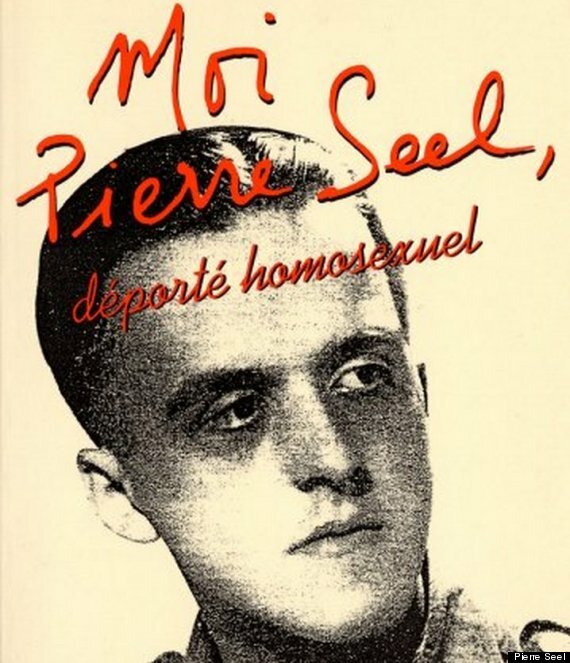 "I became aware that, in spite of my expectations, in spite of all I had imagined, of the long-awaited joy of returning, the true liberation was for other people," he wrote in his memoir, 'Moi, Pierre Seel, Déporté Homosexuel' [I, Pierre Seel, Deported Homosexual]. Pierre married a woman and had three children. He never told his wife of 28 years that he was gay. After her death, he lived with his partner Eric Feliu for the last 12 years of his life, finally feeling able to live as himself. 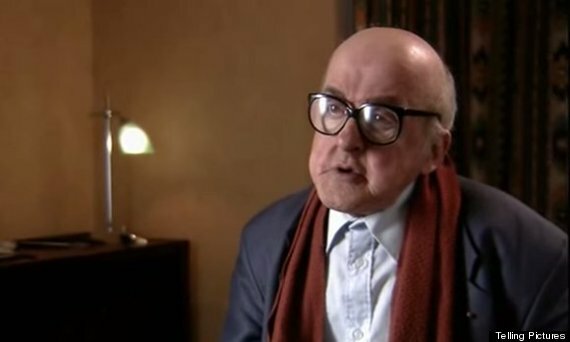 He died in 2005, aged 82. 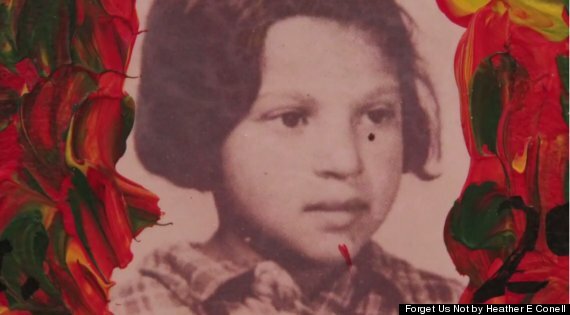 Romani gypsies were the second-largest group of people killed on racial grounds in the Holocaust. They were considered outsiders and "racially impure" by the Nazis and up to 1.5 million died in what is also known as the Porajmos ("mass killing" in Romani.) Like Jews, Roma people were murdered, sent to camps and gassed or used for forced labour. But only in the 1970s did the West German Federal Parliament classify their persecution as being racially motivated, and scholars largely ignored their deaths until the 1980s. Ceija Stojka, a Romani gypsy living in Austria, was just nine when the Germans annexed the country and began arresting gypsies. Her gypsy traveling family worked as horse-traders, but had already been forced to abandon their lifestyle when Germany annexed Austria. “Our wagon was parked for the winter… the Germans ordered us to stay put. My parents had to convert our wagon into a wooden house, and we had to learn how to cook with an oven instead of on an open fire,” she said in the United States Holocaust Memorial Museum archives. Her father was sent to the Dachau concentration camp for being “work-shy”. His ashes were returned to her mother months later. Ceija, her mother and her siblings were loaded onto a train bound for Auschwitz, where a horrific experience awaited them. “The dead were stacked up in the corners and against the doors,” she said in an interview for the film Forget Us Not. Ceija’s mother had sewed pieces of bread into her clothes to help them survive. She hid her children under her skirts to ensure they were sent to work barracks rather than the gas chambers. Ceija worked in a quarry, after her mother convinced guards she was 16 and strong enough, not ten. Her skin was marked with the number Z6399. “They took my name from me and instead tattooed a number on my arm. I am not going to be ashamed of that,” she said years later. Binz planned to torture Ceija’s mother by submerging her in icy water, after discovering she had lied about Ceija’s age. Learning this, Ceija and her mother fled to a truck headed another German camp, Bergin Belsen – becoming separated from Ceija’s remaining siblings in the chaos. The allied forces had arrived and she and her mother were freed. She was just 12. Ceija’s mother then pushed her 700 miles in a wheelbarrow to Austria’s third largest city, Linz, which was a meeting place for Roma people. Miraculously, her surviving four siblings found their way to the city, and the family was reunited. Ceija was homeless for nine years, selling carpets because her family occupation of horse-trading was still banned. She later wrote and painted about her experience, becoming a well-known artist and an activist for awareness of Roma killed in the Holocaust. 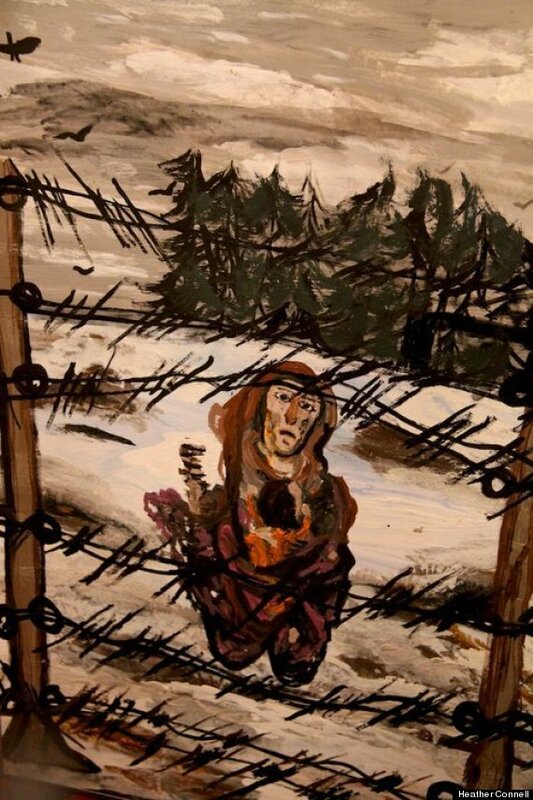 Ceija's painting of her mother holding her called "Mama Holding Ceija"
"I reached for the pen because I had to open myself, to scream," she explained at an exhibition in Vienna's Jewish Museum in 2004. Her paintings included harrowing images of the death camps, and a joyful painting showing her mother and surviving siblings in a celebratory dance, to mark the joy of the liberation. 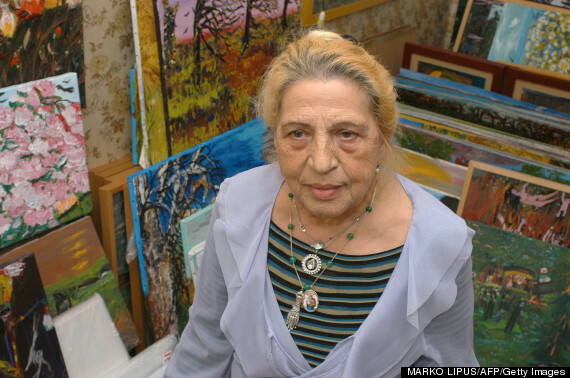 Ceija died in 2013, aged 79. Josef Mengele, the Nazi doctor at Auschwitz, was fascinated by identical twins and tortured them for horrific experiments, under the precept of furthering his research into genetics. His procedures included unnecessary amputations, injecting chemicals into eyes to try to change eye color, and intentionally infecting one twin with disease then transfusing blood into the other to see if the second twin survived. A pathologist who worked with him has recalled Mengele personally killing 14 twins in one night, with chloroform injections to their hearts. 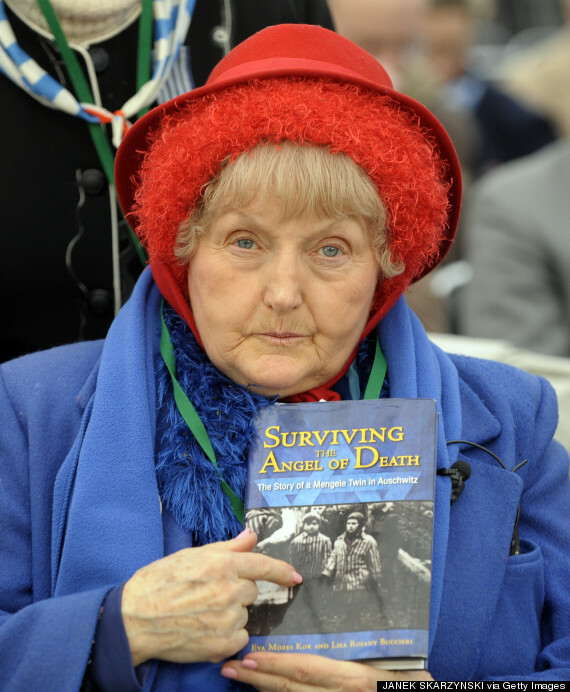 Eva Mozes Kor and her twin sister Miriam were born in Romania into a family of Jewish farmers. 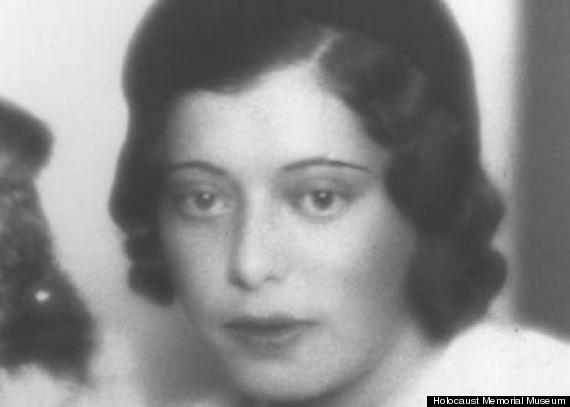 Her family was pushed into a cattle van bound for Auschwitz in 1944, when the twins were 10. When they arrived at the camp's train platform, her father and her older sister disappeared in the crowd. When German officers learned the girls were twins, they dragged Eva and Miriam away from their mother. They would never see the rest of their family again. "We were both crying, and mother's hands were spread in despair," Eva said in an interview with Vice. "We never got to say goodbye. I had the best mother on the face of this Earth." 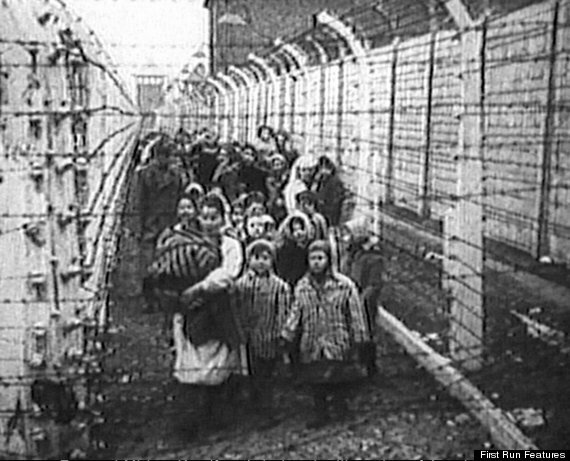 'My parents and my older sister died within 30 minutes after arrival at Auschwitz. I never saw them again. They just disappeared. There is no record of them,' she told AFP. After doctors injected Eva with bacteria through five large needles in her right arm, she became seriously ill. She remembers Mengele smiling over her, remarking that she only had two weeks left to live. If one twin died in experiments, Eva knew that his habit was to murder the other so he could cross-examine their bodies. "I was thinking, if I die, then Miriam will be murdered as well," she said of her determination to pull through. Eva and Miriam were among just 200 sets of twins who survived Auschwitz, out of almost 1,500 pairs used for experiments. They can be seen at the front of a line of twins freed in an iconic photo from the liberation of the camp. They founded the group CANDLES (Children of Auschwitz Nazi Deadly Lab Experiments Survivors), to unite twins who suffered Mengele’s brutality. Miriam died of cancer in 1993. Eva still speaks about her experience, and says she has forgiven the Nazis. “I realized that the 'guinea pig' had the power to forgive the god of Auschwitz," she said. "No one could give me the power, or take it away from me. I refused to be a victim, and now I am free." Eva has returned to Auschwitz, and always dances on the platform where she saw her family for the last time. "That's where they took away the joy of my life and my family," she says. "This way, I reclaim it." Those with mental and physical illnesses were regarded by the Nazis as “unworthy of life”, leading to a clandestine program of mass murder, under the cover of 'mercy killings'. Institutions were turned into mass killing centers, with SS officers wearing lab coats to keep up the appearance of a medical program. Families were told their relatives had died from illness and given faked death certificates, when in reality up to 300,000 people in German and Austria were systematically murdered, usually in gas chambers disguised as showers. Their organs were used for experiments. The T4 'euthanasia' program pre-dated what is usually referred to as the Holocaust by two years, but continued informally during it, and disabled people were later sent to concentration camps with other groups. Helene Lebel, nicknamed Helly, was a young legal secretary and law student in Vienna. She was raised Catholic, born to a Catholic mother and a Jewish father who died fighting in World War I. Helene started showing signs of schizophrenia aged 19, and had a breakdown after losing her dog, Lydi. She was diagnosed with schizophrenia and was sent to the Steinhof Psychiatric Hospital in Vienna. Germany annexed Austria two years later. Helene’s condition had improved at the hospital and her parents believed she was well enough to come home. But she was not allowed to return. Her parents were first told she would be released, and then that she had been transferred to another hospital. In fact, Helene was transported to a former prison in Brandenburg, Germany. She was undressed, physically examined and then led into a “shower room” where she was murdered with deadly gas. Despite this, the aspiring law student was officially listed as dying in her room of "acute schizophrenic excitement." Helene was just one of 9,772 people gassed in 1940 at the Brandenburg “euthanasia” center, which was one of six in Germany and Austria. Many members of the Christian clergy were either threatened with deportation and kept in custody, or sent to camps. The Catholic Church was particularly suppressed in Poland, where nearly a fifth of all priests - around 3,000 - were killed between 1939 and 1945, most in concentration camps. 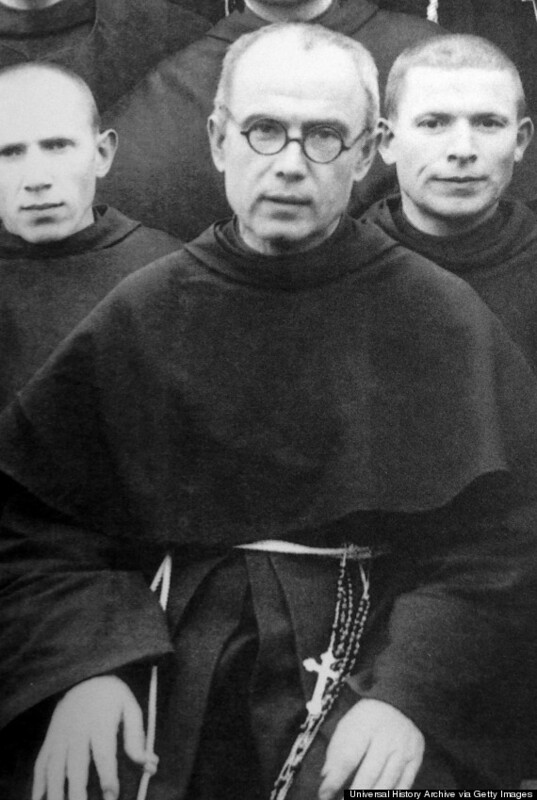 Maximilian Kolbe was born 1894 and grew up in the Polish town of Pabianice. His father was German and his mother Polish. Maximilian's life was shaped by a vision he believed he experienced of the Virgin Mary as a child. He became a Catholic Franciscan priest in his 20s, and founded monasteries in Poland, Japan and India, traveling the world to spread his beliefs. When the German army invaded Poland, Maximilian organized a hospital at his Polish monastery. It hid up to 3,000 Polish refuges, many of them Jews, during a dangerous period, and continued to run a religious publishing house and radio station. As news about the mass murders of the Holocaust spread, he wrote a message of hope in his newspaper at the time: “No one in the world can change Truth. What we can do and and should do is to seek truth and to serve it when we have found it. A month later, Maximilian's monastery was shut down and he was arrested and transferred to Auschwitz. He was subjected to savage beatings in the camp, but continued to act as a priest, offering guidance and comfort to prisoners of all faiths. Some priests in the camp were assigned to a cruel guard nicknamed 'Bloody' Krott, who forced them to cut and carry huge tree trunks. Krott is said to have developed a hatred of Maximilian and gave him heavier loads than the others. Priests who were imprisoned with him report that when they offered to help, he refused and said "Mary gives me strength. All will be well." He wrote to his mother form the camp: "Do not worry about me or my health, for the good Lord is everywhere and holds every one of us in his great love." One day in 1941, three prisoners vanished from Auschwitz. The enraged guards decided to starve 10 men to death in an underground cell to deter further escapees. One of the chosen men, Franciszek Gajowniczek, cried out when he was selected, pleading that he had a wife and children, so Maximilian stepped forward and volunteered to take his place. In the cell with the doomed men, he continued to pray and minister. Bruno Borgowiec, an assistant in the underground bunkers, is reported by Catholic writer Mary Craig to have said that: "In the cell of the poor wretches there were daily loud prayers, the rosary and singing, in which prisoners from neighboring cells also joined... I had the impression I was in a church. Friar Kolbe was leading and the prisoners responded in unison. They were often so deep in prayer that they did not even hear that inspecting SS men had descended to the Bunker." As the men died one by one, Maximilian was the last left alive, and remained kneeling or standing according to eye-witnesses. Two weeks passed, and the guards decided to execute him by lethal injection. Borgowiec reported that Maximilian held up his arm for the injection, willingly. 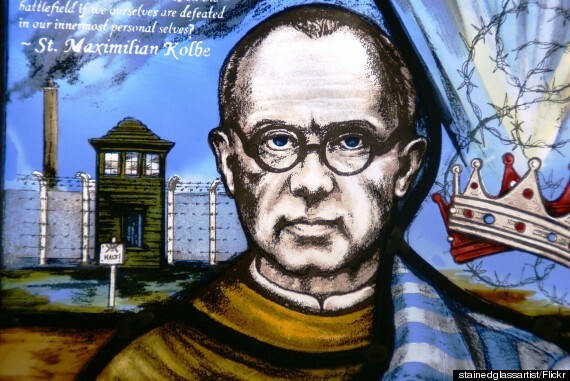 "Kolbe, with a prayer on his lips, himself gave his arm to the executioner. Unable to watch this, I left under the pretext of work to be done." Maximilian was later made a saint, and his statue is carved over the door of London's Westminster Abbey. His canonization created some controversy; the pamphlets published by his monastery in Poland were said to have contained anti-Semitic articles, but reports of his benevolence towards Jews and fellow prisoners have remained unquestioned.